With each release, the malt and yeast (a new strain for Great North) will stay the same, but the blend of hops will change. 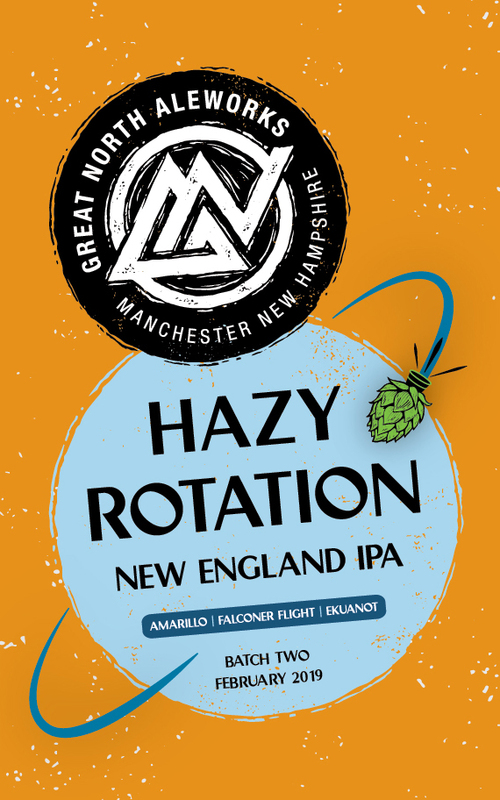 All of our brewers have been brewing pilot batches of Hazy Rotation for the past few months, each exploring a different combination of ingredients to achieve something very new for Great North. We hope you are as excited as we are to share these beers with you. For Batch Two, we combined Amarillo, Falconer Flight and Ekuanot hops. Expect aromas of honeydew melon and green mango, with flavors of tangerine and grapefruit. Hazy Rotation has a soft mouthfeel and just a touch of bitterness to keep it all balanced.